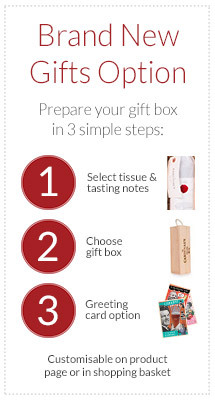 Our wine accessories have been chosen to help you chill, open, serve and preserve your wine purchases in style. 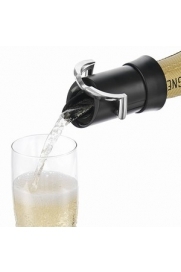 Whether you are a wine connoisseur wishing to decant a fine vintage off its sediment using a funnel and strainer, need to chill a bottle of fizz quickly for an impromptu celebration or simply enjoy serving a bottle or two with friends or guests our selection of corkscrews, wine pouring and decanting aids, aerators, stoppers, coasters, drip rings and more will not only prove to be very pragmatic but also enhance your sense of table style. All of the Cardinal's wine tools have been tried and tested, will add enormously to your enjoyment, and are heartily recommended by him. After drinking and enjoying wine for a number of years many people have wished that they had kept a record, or diary, of their vinous history either to enable them to compare their impressions of different vintages of the same wine (a vertical record) or merely to track the development of their taste preferences over time. A cellar book or tasting journal is perfect for everyone wishing to document their enjoyment of wine in this way and we feel certain that a well-kept journal not only helps to focus the wine-drinker's sense of appreciation and descriptive powers but will also provide much interest in years to come as he or she reminisces about long-drunk bottles and the fond memories that will be associated with them. 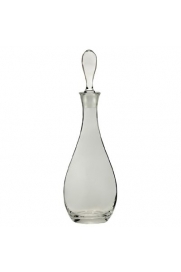 An elegant, hand made glass decanter with glass stopper which is suitable for more mature wines due to the reduced surface area of the exposed wine. 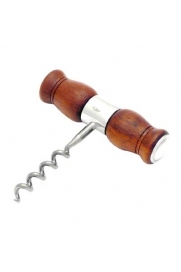 A reproduction antique corkscrew sporting a wood and pewter handle. The traditional style of this item really looks the part. 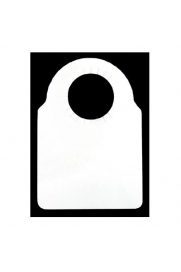 A pack of 100 bottle tags to help identify maturing wines without the need to disturb them. 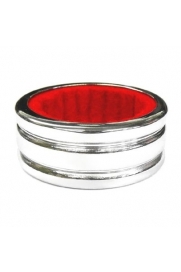 Save that table linen with this inexpensive chrome plated drip ring. Essential for all but the steadiest hand. Small 2cm. 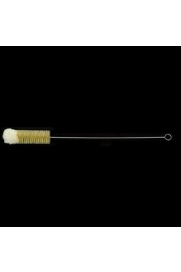 diameter brush to clean decanters with narrower necks to remove all traces of wine stains. 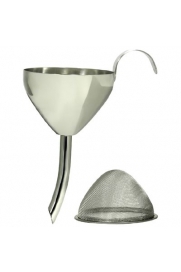 Remove all traces of wine residue and prevent glass scratches with this large decanter cleaning brush. 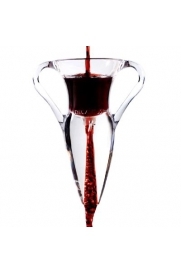 Reveal the pleasures of younger wines with this wine aerator. Oxygenation allows wine to be enjoyed that would otherwise be too young or closed to reveal its hidden qualities.